Chatsworth, one of the filming locations for Pride & Prejudice (2005) film and best known as Pemberley, Mr. Darcy's grand estate in Derbyshire started their A Georgian Summer: Celebrating 200 Years of Pride and Prejudice late last month (from July 27th through August 29th, 2013). 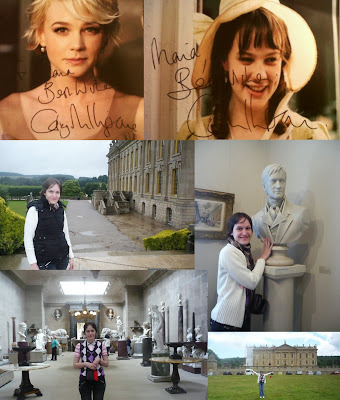 My friend Maia, who just visited Chatsworth the last week of July got to tour not just the house and garden, but also a special P&P (2005) exhibition (as it was filmed there almost 9 years ago) celebrating 200 years of Jane Austen's classic Pride and Prejudice novel. 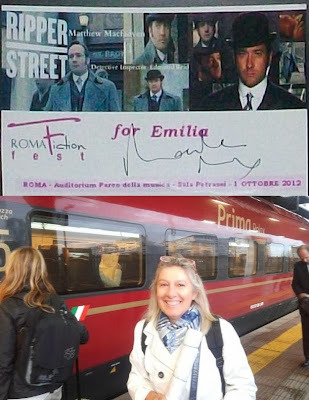 A P&P fan encounter from another ardentPride & Prejudice/Matthew Macfadyen fan, the lovely and wonderful Emilia Ravenna(from Italy)had a great pleasure in meeting MatthewMacfadyen up close and in personwhen he attended the Ripper Street - Roma Fiction Fest (in Rome, Italy) last October 2012. All this started thanks to my curiosity. First of all, all we knew for some time that Matthew was working/starring on BBC's Ripper Street and had already finished, but not only we knew also and we have been following his wonderful premiere in London for Anna Karenina and for this and for this reason he and the team (cast and crew) were present at the Toronto International Film Festival (TIFF). Lionsgate has released a new banner (see above) via the film's website:The Hunger Games Explorer forFrancis Lawrence's upcoming directed film, The Hunger Games: Catching Fire, which reveals all the victors including Jennifer Lawrence's Katniss Everdeen, Josh Hutcherson's Peeta Mellark, Sam Claflin's Finnick Odair, and Jena Malone's fearless character Johanna Mason (one of The Hunger Games' former victors from District 7) that will compete in the 75th anniversary Quarter Quell Hunger Games. The film also stars Donald Sutherland, Liam Hemsworth, Philip Seymour Hoffman, Elizabeth Banks, Woody Harrelson, Stanley Tucci, and Amanda Plummer. The Hunger Games: Catching Fire opens in theaters and IMAX on November 22nd. According to /Film, Keira Knightley's upcoming action/thriller filmJack Ryan, which she co-stars with Chris Pine (Star Trek Into Darkness), Kevin Costner (Man of Steel), and Kenneth Branagh (Thor; who also directed this film) has a new title, Jack Ryan: Shadow One. Also, the first trailer is said to be coming out soon. It better be (along with the movie poster and more new stills. You can see 5 of them featuring Chris Pine here. Unfortunately, no official stills released for Keira's Cathy Ryan character as of yet...though there were set photos of Keira Knightley and Chris Pine filming in Liverpool, England) as this movie's release is getting closer and is opening wide release in theaters December 25th. Speaking of Jack Ryan, see photos of Chris Pine Spotted Shooting Additional Scenes For 'Jack Ryan' in New York City just recently. 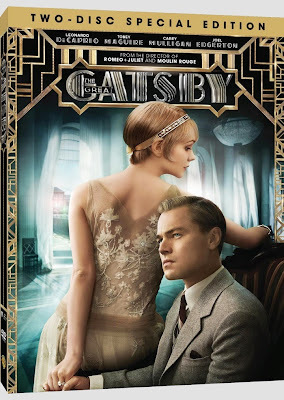 On DVD and Blu-ray today is The Great Gatsby (in 3D!) starring Leonardo DiCaprio and Carey Mulligan. It was released last May 10th with an impressive $50 Million on its debut at #2 (very impressive, indeed despite not opening at #1). According to Box Office Mojo, the film's production budget was $105 Million and very successfully made over $144.8 Million on its domestic gross total with over $186.2 Million estimated foreign B.O. total and a worldwide total of $331 Million! I saw this movie last June, but didn't get a chance to post my film review until earlier this month (which I forgot to post here...). You can read my Film Review: The Great Gatsbyon my other (In The Mood For Movies) blog. Over31 high-resolution stillshas been released viaCollider forAbout Timestarring Rachel McAdams, Domhnall Gleeson,Bill Nighy, and Tom Hollander. 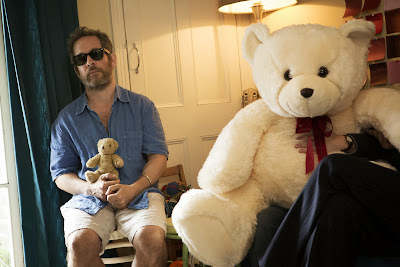 A few of the 31 stills features Tom Hollander (including a cute one above ^, lol...) as Harry. About Time written and directed by Love Actually's Richard Curtis. The Universal/Working Title pic centers on a young man (Gleeson) who learns he can travel through time. But as he finds his true love (McAdams) and sets off on their life together, he discovers his gift has its complications too. The movie’s platform release date is November 1 before going wide the next weekend. About Time opens in the UK on September 6th and in the US on November 1st. 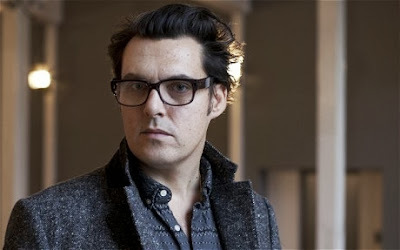 Today (August 25th), is Pride & Prejudice's own brilliant director Joe Wright's 41st Birthday! I found out last year that his birthday's today and he shares the same birthday as Tom Hollander! 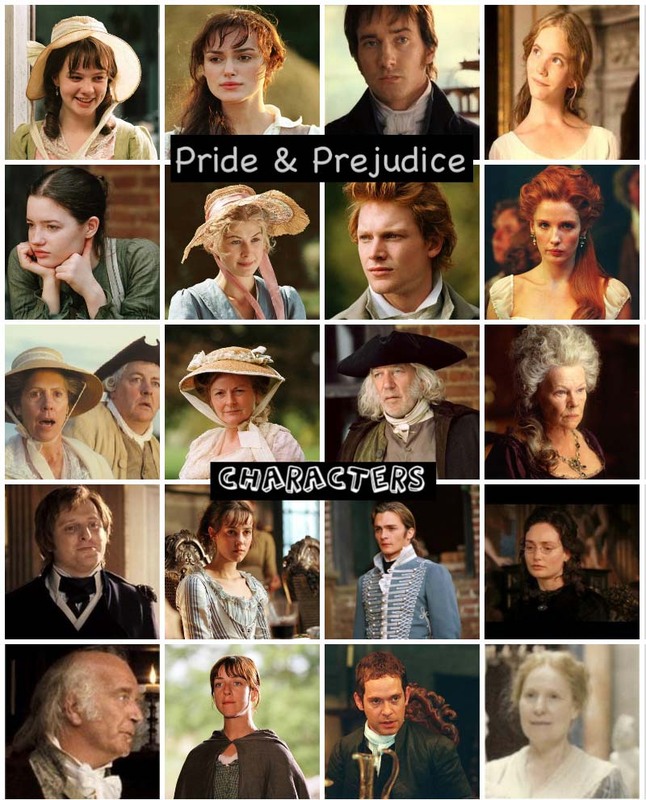 Interesting...and they've worked together 3 times in 3 (Pride & Prejudice, The Soloist, and Hanna) of his 5 feature films. 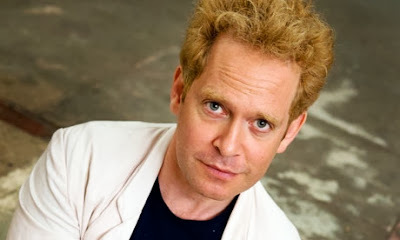 Today (August 25th) isTom Hollander(aka P&P's Mr. Collins)'s 46th birthday! Now showing here in the U.S. in wide release (though at 1,548 screens), Focus Features' The World's End starring Rosamund Pike(as Sam Chamberlain), Simon Pegg, Nick Frost, Eddie Marsan, and Martin Freeman (as Sam's older brother Oliver). Directed by Edgar Wrigtht, who also created, co-written (with Simon Pegg), and directed the first two films (of the Cornetto Trilogy): Shaun of the Dead (2004) with Penelope Wilton(P&P 05's Mrs. Gardiner and Downton Abbey's Isobel Crawley) as Barbara andHot Fuzz (2007) with Peter Wight (P&P 05's Mr. Gardiner) as Roy Porter. 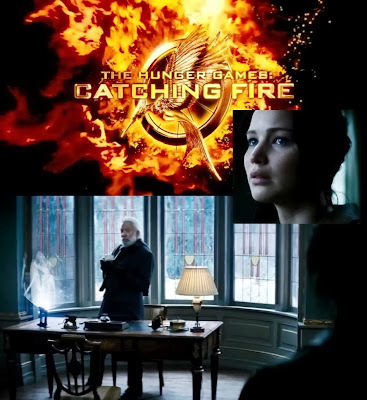 In the upcomingThe Hunger Games: Catching Firefilm (Donald Sutherland co-star in the sequel to the mega-blockbuster The Hunger Games),which will be released in theaters November 22nd,two new characters are previous Hunger Games victors Finnick Odair and Johanna Mason, who are played by Sam Claflin and Jena Malone (who both co-starred with Donald Sutherland previously and currently in this this film. Previously, Donald played Sam's father in The Pillars of the Earth, which was an award winning TV miniseries and also playedanother father, Mr. Bennet to Jena's Lydia Bennet in Pride & Prejudice film. And now, all 3 are in the same film!). 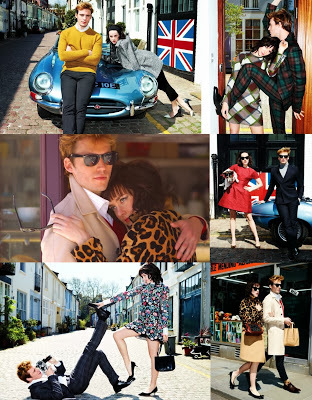 The hot and gorgeous new Catching Fire co-stars traipse the streets of London in swinging-sixties style for Glamour's September issue. The September issue is now available on newsstands nationwide as well as digitally at glamour.com/app. TV Yahoo! 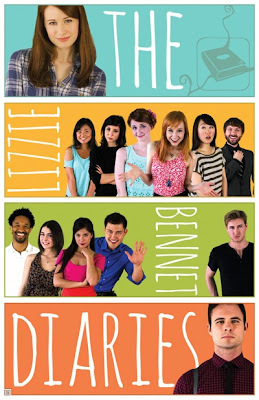 reports thatThe Lizzie Bennet Diaries (2012/2013 YouTube/Vlog series) starring Ashley ClementsandDaniel Gordhis one of juried winners ofthe Creative Arts Emmys for Original Interactive Program. Rosamund Pikeattended the U.S. premiere of her new film, Focus Features' The World's Endat ArcLight Cinemas Cinerama Dome on August 21, 2013 in Hollywood, California. 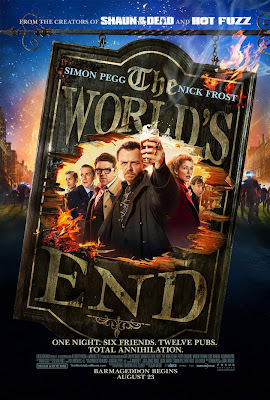 Directed by Edgar Wright (no relation to P&P director Joe Wright), The World's End starring Simon Pegg, Nick Frost, Eddie Marsan, Martin Freeman, and Rosamund Pike opens in wide release this Friday, August 23rd. 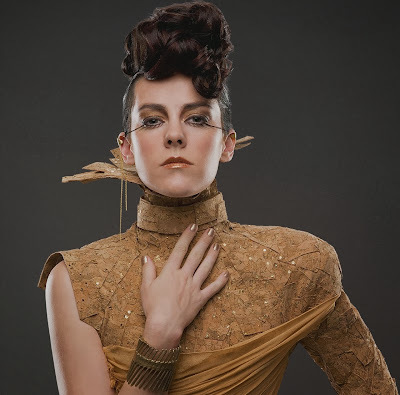 Jena Malone's fearless character Johanna Mason (one of The Hunger Games' former victors from District 7) in the upcomingThe Hunger Games: Catching Firefilm (Donald Sutherland co-star in the sequel to the mega-blockbuster The Hunger Games) not only got a solo, sly and stunning character profile and in the cover of Zoetic Sol: The Capitol Couture's Summer Issue, which is part of the film's viral marketing promo. Her cover issue includes a profile and character description. You can read it here. Now, she's added and joined her fellow victors, Katniss & Peeta, the current Hunger Games victors from District 12 in the brand new Catching Fire promo Victors banner just revealed this morning via The Hunger Games Explorer. Also, Jena is recently featured in a Vogue Magazine article: The Hunger Games'Jena Malone on Going Blonde, Getting Fit, and Becoming Johanna MasonHer Catching Fireco-star Jennifer Lawrence covers the current September 2013 issue of Vogue. Jena Malone's character Johanna Mason (one of The Hunger Games' victors from District 7) in the upcomingThe Hunger Games: Catching Firefilm (Donald Sutherland co-star in the sequel to the mega-blockbuster The Hunger Games) gets a new sly and stunning character profile and in the cover of Zoetic Sol: The Capitol Couture's Summer Issue, which is part of the film's viral marketing promo. Her cover issue includes a profile and character description. You can read it here or below. Now showing in New York and LA, is Austenland starring Keri Russell(The Americans, Felicity). 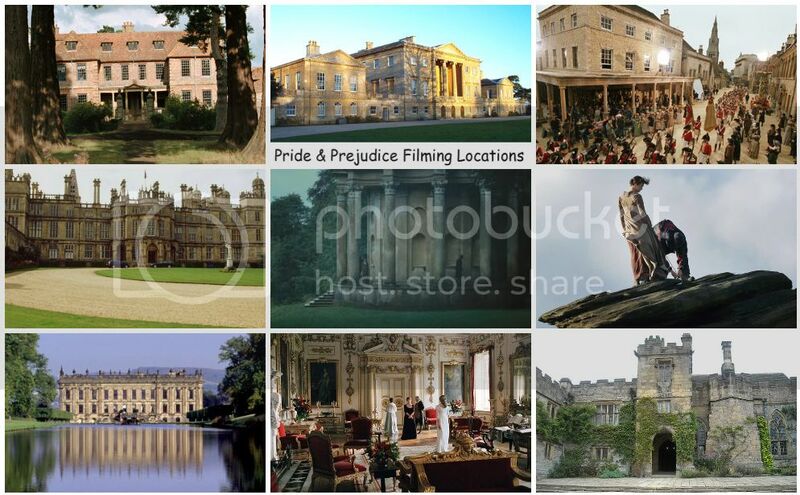 Though Austenland opens in limited releasetoday, more U.S. cities will be added soon after. 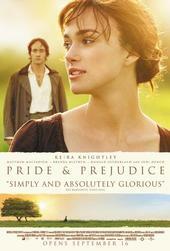 See Austenland theater listing here for a city screening it near you. and init'll be showing in UK Cinemas next month, September 27th. 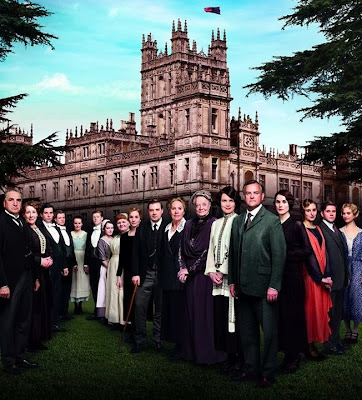 A new season4 cast promotional photo for Downton Abbey (Penelope Wiltonco-stars) has just been released today via ITV. Also, check out new season 4 promo stills here!In addition, therearea fewnew cast membersin the upcoming new season for Downton Abbey. Several movie stills are now online for Austenland starring Keri Russell as it opens in limited releasethis Friday with more U.S. cities added soon after. 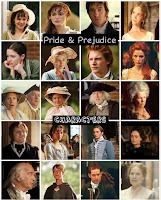 See Austenland theater listing here for a city screening it near you. It'll be showing in UK Cinemas next month, September 27th. Last Friday, Showtime released a full-lengththree-minute trailerfor the upcoming third season of Homeland starring Claire Danes, Damian Lewis, and Rupert Friend. 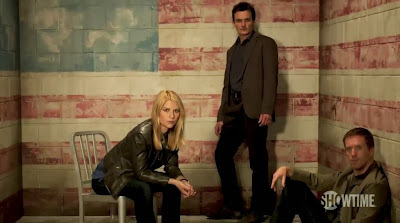 Yesterday, a video has been released for Homeland Season 3: Behind the Scenes - Photo Shoot and it features a brief new interview of Rupert Friend with his co-stars Claire Danes, Damian Lewis, and Morena Baccarin. Homeland returns for season 3 September 29th at 9PM ET/PT on Showtime. Keri Russell just attended The Cinema Society with Alice and Olivia screening of Sony Pictures Classics'Austenlandat Landmark's Sunshine Cinema earlier tonight, August 12, 2013 in New York City. Also, Keri (with her Austenland co-stars, producers, and director) was at the other premiere of 'Austenland' at ArcLight Hollywood last week, August 8, 2013 in Hollywood, California. Austenland opens in limited release this Friday, August 16th (New York and LA) with more U.S. cities to be added soon after. 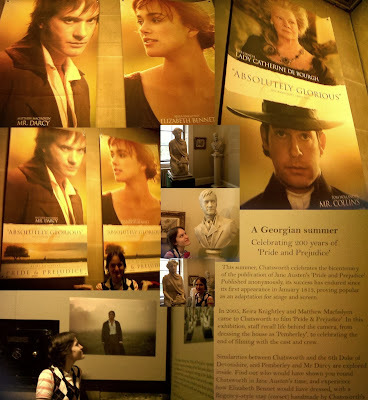 See Austenland theater listing here for a city screening it near you. and in UK Cinemas September 27th. A new international trailer#2 for The Hunger Games: Catching Firefilm (Donald Sutherlandand Jena Malone co-star in the sequel to the mega-blockbuster The Hunger Games) has just been released today and with new scenes featuring Donald Sutherland as President Snow and Jennifer Lawrence as Katniss Everdeen. 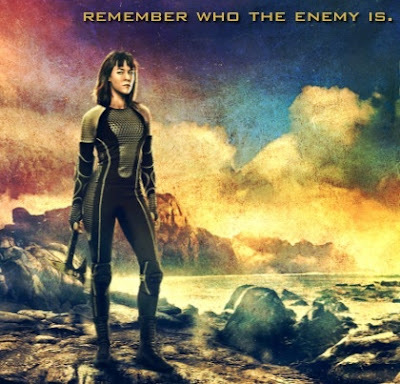 Unfortunately, Jena Malone's Johanna Mason character is not featured in this trailer. Hopefully, in the next new trailer and movie stills that will be released soon. Speaking of Catching Fire, the British band Coldplay has recorded a new song for the film's soundtrack titled "Atlas." Look for it to drop later this month, August 26th. Also, Jena will be part of Moviefone's Unscripted episode very soon with her Catching Fire co-stars Jennifer Lawrence, Josh Hutcherson, and Sam Claflin. The Hunger Games: Catching Fire in Theaters November 22nd! The first trailer has just been released today forPhilomena starring Judi Dench. Looks likeAnna Maxwell Martin (who is currently filming and and will be playing Elizabeth Darcy in the upcoming BBC One/PBS Masterpiece 3-part Drama Death Comes to Pemberley) is co-starring with Dame Judi Dench in this film.Philomena is going to debut and premiere at the 2013 Toronto International Film Festival (which runs from Sept. 5-15th) under Special Presentations. It'll be showing in UK Cinemas November 1st.No theatrical release date for the U.S. yet. Showtime just released a full-length three-minute trailer for the upcoming third season of Homeland starring Claire Danes, Damian Lewis, and Rupert Friend. 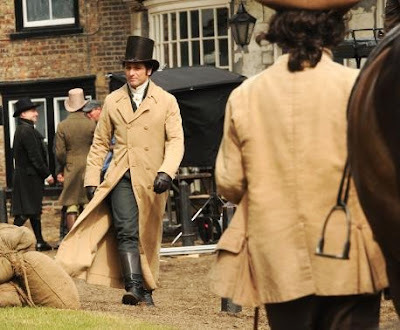 According to Deadline, Masterpiece exec producer Rebecca Eaton confirmed Tuesday night during the TCA Summer TV Press Tour 2013 that BBC One's Death Comes to Pemberley starring Matthew Rhys,Anna Maxwell Martin, and Matthew Goode, which is currently filming (see new on set photo of Matthew Rhys as Mr. Darcy above ^)will air on PBS Masterpiece sometime during the end-of-year holidays in 2004 viaMasterpiece's announcement here. No airdate as of yet, other than the year 2014.